In case you still depend on electricity like most of us do and you are frightened at the thought of your monthly bill, I’m gonna give you some tips to reduce your energy bill — 30 things in total! 1. During the day, keep windows and doors closed. Use blinds and shades to cover doors to reduce heat and cool air loss. 2. During winter, set your thermostat as low as possible for your comfort level. Try 68 degrees or less. 3. When using an air conditioning unit of any sort, set your thermostat for 78 degrees or higher. 4. When you leave on vacation, set your thermostat for 85 degrees or higher during warm seasons. 5. Use a shade or covering with an air conditioning unit’s condenser. 6. Weather strip doors, windows, pipes, and ducts. 7. When using central air conditioning or heating, close vents to rooms in your home you don’t use. 8. Use your dryer when it is full—or air dry clothes. 9. Insulate your attic and ceiling. Proper insulation may reduce energy costs by as much as 25 percent. 10. Insulate walls and doors to prevent air from escaping. Concrete foam is a popular solution. .
11. Seal electric outlets and boxes with foam or fiberglass gaskets. 12. Use only cold or warm water in your washing machine. 13. Update single-pane windows to storm or thermal windows. 14. Repair any holes in the roof, walls, ceilings, floors, and windows with proper insulation. 15. Set the thermostat to 120 degrees to 140 degrees for your dishwasher. 16. Use low-flow showerheads and water faucets. 17. Insulate your water heater with a blanket or insulating protection. 18. Open the refrigerator and freezer doors only when necessary. Close them promptly when finished. 19. When cooking and reheating smaller quantities of food, use your microwave rather than your oven. 21. Use only one refrigerator. 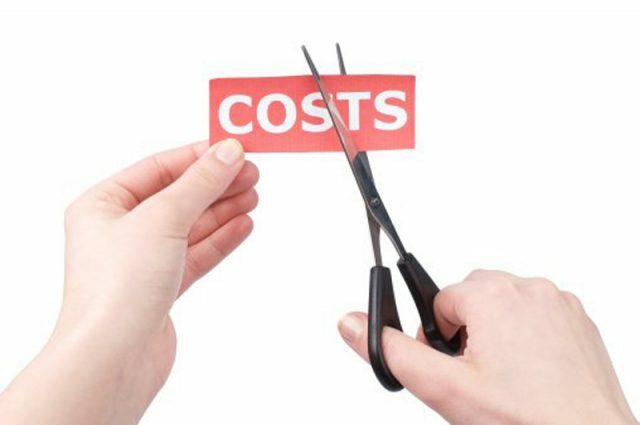 A second unit could cost about $200 per year. 22. Don’t preheat your oven. 23. When cooking in the oven, cook several dishes at one time, if possible, to reduce the amount of time your oven is in use and consuming energy. 24. When cooking and reheating smaller quantities of food, use your microwave rather than your oven. 25. Turn off lights when you’re not at home—or when they are not needed. 26. Switch your light bulbs to compact fluorescent and avoid using older-model light bulbs. You’ll save 2/3 energy and won’t need to replace your bulbs for 10 times as much time. 27. When cooking food, use a range top instead of an oven, whenever possible. 28. Clean pool cleaning equipment properly before each use. 29. Use a pool cover when not using a pool to reduce evaporation. 30. Use dimmer switches or timers to limit the amount of time your lights are active—and the wattage you consume. It’s time you find out everything you need to know of the 3 types (that’s right!) of solar panels.. Solar panels provide an ideal, environmentally friendly, source of energy without requiring a lot of maintenance. Solar panel technology continues to improve, and luckily for us, to become more affordable for the ordinary people who want to go green. Generally, all solar panels are designed to produce the same amount of energy from the sun, which is half a volt per solar cell. A standard 12 volt solar cell (which produces about the same amount of energy as a car outlet) will generally have 36 cells and be about 25 inches wide by 54 inches long. Most households install multiple solar cells so they can 24 volts, 48 volts, or more of solar energy output. Monocrystalline solar panels are the most energy efficient (but expensive) solar panels available because they are, literally, made with monocrystalline (silicon) cells. The growth process for the monocrystalline is very complicated, which is a primary reason for the higher expense of monocrystalline products. In order to make the silicon cells, manufacturers produce long silicon rods, which are then cut into discs that are 0.2 or 0.4 mm thick. Those discs are then incorporated into the individual cells and wired together to create a single solar panel. Polycrystalline (or multi-crystalline) solar panels tend to be slightly less efficient and less expensive than their monocrystalline counterparts. This is because the individual cells are grown in a large block consisting of many crystals, rather than as a single crystal rod. Single discs are produced from the large crystal block and transposed into linked solar panel cells. 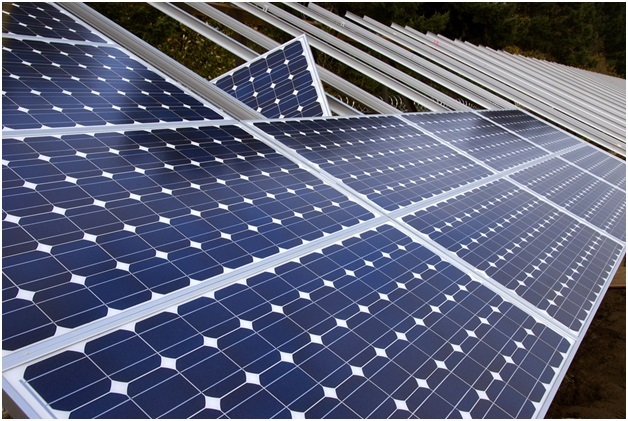 As a result of the multi-crystal manufacturing process, polycrystalline solar panels tend to have a distinguishing shattered glass appearance. Amorphous solar panels tend to be the least expensive of all of the solar panel technologies, but they are also significantly less efficient. Instead of using crystals to construct the cells, amorphous solar panels are constructed by pouring a thin layer of silicon over a base material, such as glass or metal. Because amorphous solar panels produce less energy than polycrystalline or monocrystalline solar panels, more amorphous panels are required to produce the same amount of energy as crystal panels. However, amorphous panels can be made into long sheets that can double as roofing material for south-facing homes. The best thing would be to talk to an expert/ a qualified contractor about what type os solar panel suits you best, taking in consideration your location, budget, and lifestyle. Solar panels can make a huge difference in your energy bill – and reduce your environmental impact every day, if you pick the right ones. I was lucky enough to get to go visit my 90-year-old grandmother recently. Batteries are critical components of any solar power system, as they are the component of the system in which the power produced by your solar panels is stored until you are ready to use it. They come in a variety of different sizes and types. In fact, there are 4 basic types of batteries you may choose from. As I told you last week, it is crucial that you first asses your energy needs.The battery you choose will depend upon your power needs as well as the other parts of your solar power system, including your solar panels and inverter. These batteries are designed for small vehicles and boats and also for small solar power systems. They are also named deep cycle batteries. However, they don’t have the ability to provide continuous service through many charges and discharges over the years. So if you use this type of battery, you will notice that it will not last as long as many of the other types of batteries. 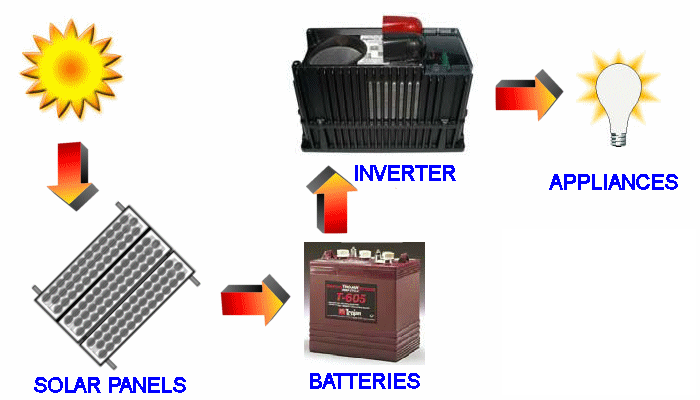 Flooded batteries are lead acid batteries that are designed with caps for you to add water to them. These are popular battery types of solar panel systems, as they not only work efficiently for many years, but they are also cheap. They release gas when they are fully charged, so don’t use them indoors. Be careful if using them in an enclosure, as those gases can be explosive if the enclosure is not ventilated. Gel batteries are suitable for indoors because they don’t release gas, like flooded batteries. These batteries are able to maintain a constant temperature, which means that they generally have better performance than flooded batteries. AGM , or Absorbed Glass Mat batteries are amongst the best available batteries for solar power systems because of their excellent performance. AGM batteries are designed with a woven glass mat installed between plates to hold electrolytes. They are leak-proof and don’t emit gas. AGM batteries last a long time, they self discharge more slowly than other batteries, and, therefore, last longer than other batteries. These batteries can often be found in airplanes, hospitals, and remote locations. It is important to know how to care and maintain the batteries as well. There are some general basic rules in that respect. Store your batteries at about 77 degrees. Cold batteries lose voltage and, as a result, performance from them will suffer. Remember that these temperature considerations may influence whether or not you choose a battery that can be stored indoors. The most important aspect you should know is how to discharge the battery. The Depth of Discharge (DOD) is the percentage for how low you let your battery get in its charge before you recharge it. In general, you can let your battery discharge to about 50% before recharging to still get the best performance. However, the battery will last longer if you keep it as charged as you can, especially if it is a lead acid battery. In a pinch, most batteries can withstand discharges to about 20%. I hope this information helps you to choose the right battery for your home. Just take your time in choosing the right one, and ask for help if you think it’s necessary. The solar panels are the devices that collect sunlight. These devices are mounted to receive direct sunlight and connect to the rest of the power system. Again, choosing the right solar panel depends on knowing how much energy you need for your electrical devices. For instance, if you need 55 Watts of energy to power an electrical device, you can either install a 60 Watt solar panel, or you can install two 28 Watt solar panels that connect to each other. Your space and budget requirements may determine which configuration is best for you. The energy that is generated by the panels is stored in the batteries that are connected to your solar panels. You will also need a voltage regulator for your solar panel system. The regulator ensures that your solar panels will not deliver more energy to you batteries than the batteries can handle. In doing so, the voltage regulator keeps the battery functioning optimally by shutting the battery down once it is fully charged. Every solar panel that produces more than 18 Watts should have a voltage regulator. You only need one regulator, even if you have multiple solar panels. 8 Amp regulators are generally good choices for most solar panel systems, but if you have a 150 Watt solar panel system, you will need a 12 Amp regulator. The inverter converts the energy from the battery to energy that can be used through an AC outlet. Simply plug your appliances into the inverter to receive an electric current. Just be careful, some inverters consume power, which will lower the overall power output received by the electrical appliances. So this is what a solar panel system is made of. I hope this gives you at least some idea of what to look for in a store and what questions to ask, so you can get a picture of what budget you will need. This is an important step to take and it takes patience and research. This is why I thought that meanwhile, you can try to lower your electricity bill.